If you've chosen to enter the Jewelry business then you appreciate attention to detail. 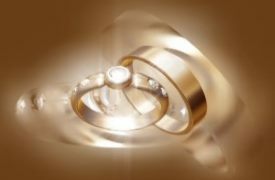 At Signature Insurance and Investment Services, Inc, we understand the unique insurance needs of the Jewelry industry. Whether you own a Jewelry Store in Nanuet, operate as a wholesaler or have a Jewelry Appraisal business somewhere in the state of New York, we have the experience and Insurance Company relationships to help you protect your assets. In addition to offering Jewelers Block coverage we can tailor the right package to fit your specific needs. Choosing the right Insurance for a Jewelry professional is a big decision. We want to make sure you make it an informed decision and one you feel confident in. Contact us to find out more about jewelers insurance in Nanuet, New York area.